Mr Sanjay Verma is an experienced Consultant ENT/ Head & Neck surgeon who has developed his knowledge and surgical skills over two decades of specialist practise in centres of excellence at home and abroad. He undertook his medical training at the University of Cambridge, where he graduated with distinction. After a period of specialist ENT training in the Cambridge region, he was awarded the coveted Thomas Wickham-Jones ENT fellowship to Toronto General Hospital and the Hospital for Sick Children in Toronto, Canada. It was here that he gained the latest knowledge and skills in the management of adult Ear, Nose and Balance disorders, as well as children’s ENT problems. In 2012 Mr Verma was invited to the renowned Causse clinic in Beziers, France, where he gained experience in laser ear and hearing surgery, as well as cosmetic surgery for bat ears in children. Mr Verma is also interested in advanced Nose and Sinus surgery. He has developed a subspecialist interest in endoscopic sinus surgery (FESS) and was the first to perform Balloon Sinuplasty at the Nuffield Leeds Hospital. He regularly performs surgery to reshape the nose and its passages (septorhinoplasty), to improve breathing, snoring and cosmetic appearance. 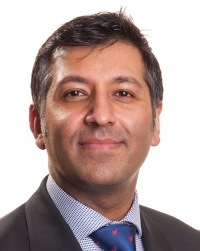 Mr Verma also regularly sees patients with Neck lumps, Voice and Swallowing problems, and is able to perform flexible nasoendoscopy in clinic to visualise the throat. Since 2009 Mr Verma has been appointed as an ENT consultant to Leeds Teaching Hospitals NHS Trust, where he has a dedicated Adult and Paediatric ENT practise. He has been instrumental in introducing laser ear surgery, implantable hearing devices and coblation tonsillectomy, and has set up the joint ENT/Neurology balance clinic and Implantable hearing device multidisciplinary clinic at the Leeds General Infirmary. He is also Clinical Lead for the Skull Base (Acoustic neuroma) ENT service. He is committed to training the next generation of surgeons. He has been the appointed Royal College of Surgeons Tutor for Leeds, overseeing the delivery and standards of surgical training throughout the Trust. Presently, he is Educational Lead for the Head and Neck Directorate and sits on the Regional Committee for Higher training in ENT. Mr Verma is married with two sons and lives in north Leeds. He is widely travelled and participates in Rural ENT Camps for the Thai Red Cross. He is also a committee member of the Yorkshire Indian Society and helps raise funds for charities in the UK and India. Schooled at King Edward’s, Birmingham, Mr Verma retains a perhaps misguided passion for the fortunes of Aston Villa football club. Mr Verma is one of only a few ENT Consultants to have been awarded a PhD doctorate research degree from the University of Cambridge. He has published numerous academic papers in peer-reviewed world literature and is regularly invited to lecture and teach at a range of national and international venues. His present research interests include new and innovative treatments for sinusitis, hearing loss and dizziness, as well as the techniques to minimise discomfort and hasten recovery after procedures such as tonsillectomy. Mr Sanjay Verma does not hold a share or financial interest in this hospital, another Nuffield Health hospital or the company. Mr Sanjay Verma does not have a share or financial interest in equipment used at this hospital or another Nuffield Health hospital. Mr Sanjay Verma does not hold any paid advisory role(s) at this hospital or on behalf of Nuffield Health.